This week, Stephen Ibaraki has an exclusive interview with Robert Opp. 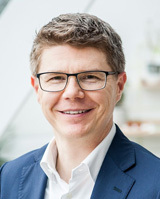 Robert currently leads the Innovation and Change Management Division within the United Nations World Food Programme, the world's largest provider of humanitarian food assistance with a budget of US$6 billion per year and 16,000 staff members in over 80 countries. In this role, he works to harness the power of innovations to help achieve the Sustainable Development Goals, including ending hunger by 2030. Under his leadership, WFP has built an in-house 'Zero Hunger' Innovation Accelerator and created an award-winning crowdfunding smartphone app, ShareTheMeal, that has raised over $16 million for hungry children in need to date. Robert also co-leads the UN Innovation Network, an informal, collaborative community of innovators in the UN. Robert also leads efforts to make the organisation more effective by supporting the implementation of key change initiatives and reforms across WFP. Robert began his career at Canada's International Development Research Centre managing projects focused on peacebuilding in post-conflict countries. He served in WFP in the organisation's Angola operation, managing emergency food aid assistance programmes within a $260 million operation that reached over 1 million internally displaced persons affected by civil war; and as Chief of Policy and Administration within the Executive Director's office in Rome. He was also a management consultant with Boston Consulting Group (BCG) based in Singapore where he served a wide range of private sector companies throughout Asia and the Middle East. Robert holds an M.A. in International Affairs from the Norman Paterson School of International Affairs at Carleton University and a B.A. in History from the University of Alberta, as well as a Diploma in Humanitarian Assistance from the Université de Genève. More information about the World Food Programme.